I hope that my story and the following summation of the IRS news release will help you understand the nature, organization, and ruthlessness of the people impersonating IRS and FBI agents. I never imagined that I would be the possible victim of an IRS impersonation scam. When I received a phone call from Ithaca, NY while on the other line, I thought to myself – a colleague of mine lives up there – let me call him back real fast to make sure everything is ok. Officer Edward Johnson quickly informed me that he was with the IRS, and I had done some really bad things. Over the broken accent and connection, I decided to ask him to repeat his badge number, which he quickly rattled off some letters and numbers. He was so quick on his answer, I figured he wouldn’t mind repeating his name – Officer Edward Johnson. I chuckled a bit as it was harder for him to pronounce his name each time. My lighthearted attitude towards his name fired him up. He proceeded to tell me that he would “burn me, my family, and my house down.” I lost count of the expletives chained together in his incoherent statement, but I clearly made out one thing. He was clear that I offended him because I wasted his time. “How dare I” waste his time like this. This is not an instance of the boy who cried wolf. These scams are more prevalent this summer than I was previously aware. Thankfully, I am aware of the IRS’s standard communication policies. 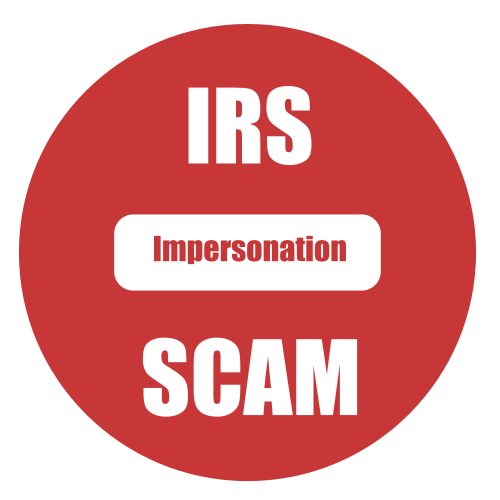 If you do not know the IRS’s policies on communications, please understand that it is easy to pick the impersonators. The IRS knows of the growing number of scams for the summer months. “The IRS does not call and leave pre-recorded, urgent messages asking for a call back.” FS-2018-12. Usually, the scammer will include some threats of local police involvement or warrants for arrest. You should immediately report the scams to the IRS if you can. Use the IRS Impersonation Scam Reporting web page.